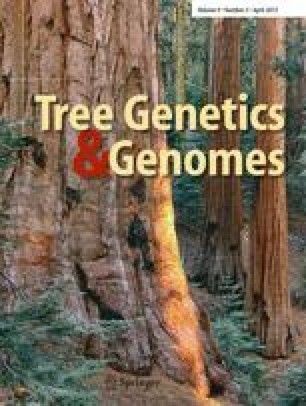 To evaluate the usefulness of Reduced Representation Libraries (RRL) in species with large and highly repetitive genomes such as conifers, we employed Hypomethylated Partial Restriction (HMPR) on the genome of Norway spruce (Picea abies). The HMPR method preferentially removes the commonly hypermethylated, repetitive fraction of the genome. Hence, RRLs should be enriched for the hypomethylated gene space. For comparison, a standard shotgun library was constructed and samples of the respective libraries were obtained through Sanger sequencing. We obtained a 9-fold gene enrichment, a value which is slightly higher than for other plant species. The amount of repetitive DNA was reduced by 45 % in the RRLs, demonstrating the ability to efficiently remove hypermethylated DNA. Annotating sequences in an uncharacterized genome remains challenging and a large number of sequences could not be classified as either repetitive DNA or as belonging to the gene space. Upon further investigation, we found that some of these uncharacterized fragments were expressed, and in most cases the expression was spatially differentiated, indicating that they might have a function. Full-length transcripts of a subset of expressed fragments also revealed that these could be long non-coding RNAs. In conclusion, our study shows that the HMPR method is effective in constructing libraries enriched for the genic fraction of the genome, while simultaneously reducing the repetitive fraction, in P. abies and may prove a valuable tool for the discovery, validation, and assessment of genetic markers in population studies and breeding efforts when combined with next-generation sequencing technology. The online version of this article (doi: 10.1007/s11295-012-0582-8) contains supplementary material, which is available to authorized users. This work was supported by the European Community’s Sixth Framework Programme, under the Network of Excellence Evoltree; by the Seventh Framework Programme (FP7/2007–2013), under grant agreement 211868 (Project Noveltree), by the Nilsson-Ehle foundation and the Swedish research council FORMAS. We thank Thomas Källman for the use of P. abies RNAseq data and Jun Chen for assistance with data analysis. We thank two anonymous reviewers for helpful comments and improvements to the manuscript.